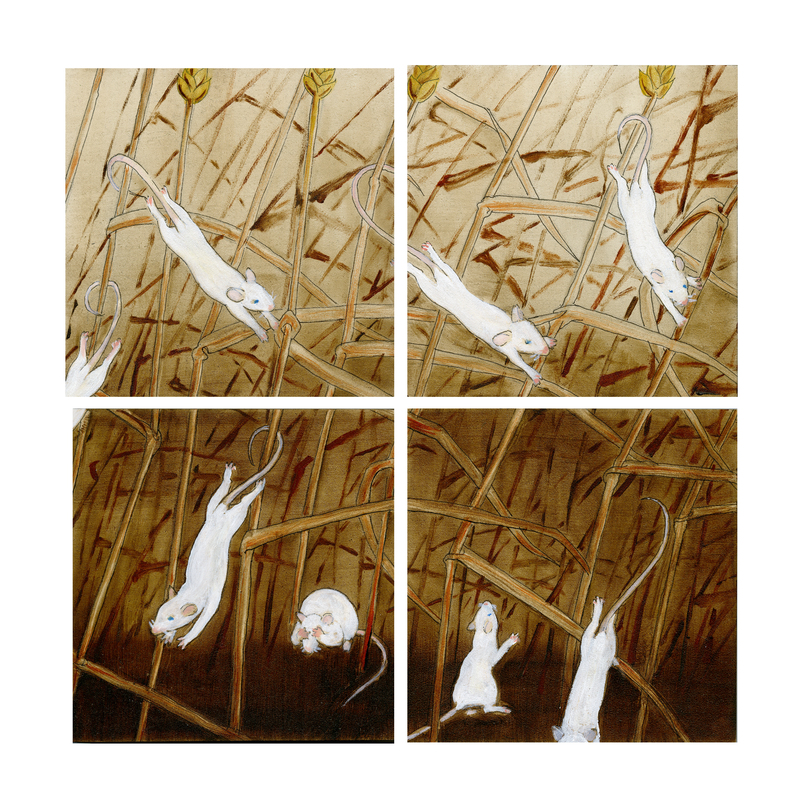 A four-panel oil sketch of mice in a cornfield. Made for a child’s room. She prefers her mice white, so that’s what she got.